in Muskoka and surrounding areas. We have been shooting with drones for over 6 years now, and proves to be the best addition to any video we do. Virtual Tour Visions is fully insured, Transport Canada Compliant, registered and holds a valid SFOC certificate. 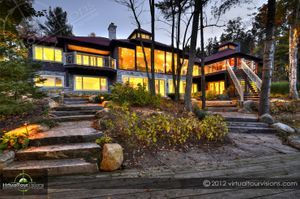 Night, twilight and sunset photographs really make a listing stand apart from others on the market. Homes look better in the evening and have a warming glow to them. You will simply love the magical and enchanting effect of our evening lens and you have a gift for the seller! "Great way to warm up your winter shots"
We also offer professional head shots as a service, everyone should keep up to date headshots for all your marketing and online profile needs. We come to you with our portable studio your choice background. We can also do outdoor shoots as well. 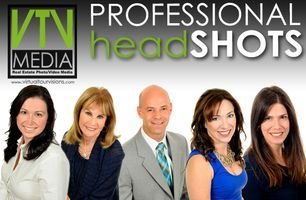 Ask about our off season head shot tour, once a year we will set up a head shot tour and could show up to your office and set up a one day discount deal you won't want to miss. Up to 75% savings when done through the tour. If you would like this discount please ask your office manager or owner if they could be included in the head shot tour, everyone in the office can benefit from 75% savings if they sign up for our one day tour. An interactive 2D or 3D floor plan is an amazing enhancement for any virtual tour. 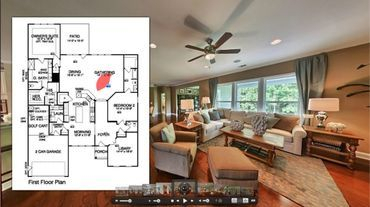 Interactive floor plans allow viewers to visualize your properties. And it makes perfect sense for your virtual tour provider to create your property floor plan for you! 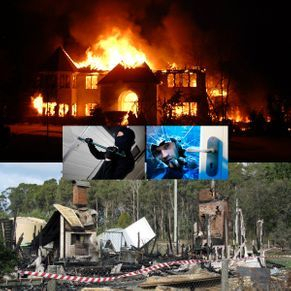 Disasters and Theft happen when least expected. Don't be burden with the long process of an insurance claim afterwards trying to remember and prove all your assets without any documentation to your insurance company. Your loss is hard enough on you, don't let the claim process be even more devastating. We will come and professionally photograph your property and any high value items, with full written description's and values on each image. Packaged all up into a secure online server for you and your insurance company forever or as long as you will need it. Your also provided with 2 hard copies for both you and your insurance company as well. Once created, we can always come back and update whenever you have a new addition or update to your property.